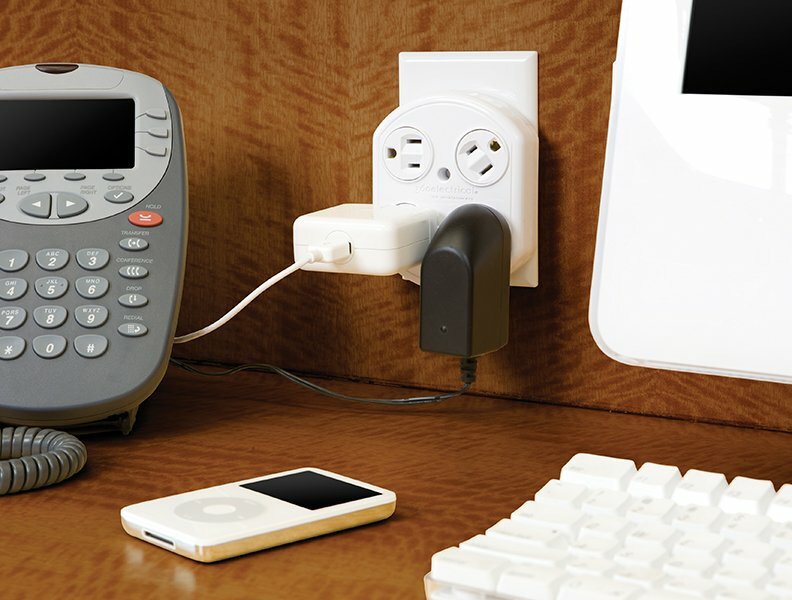 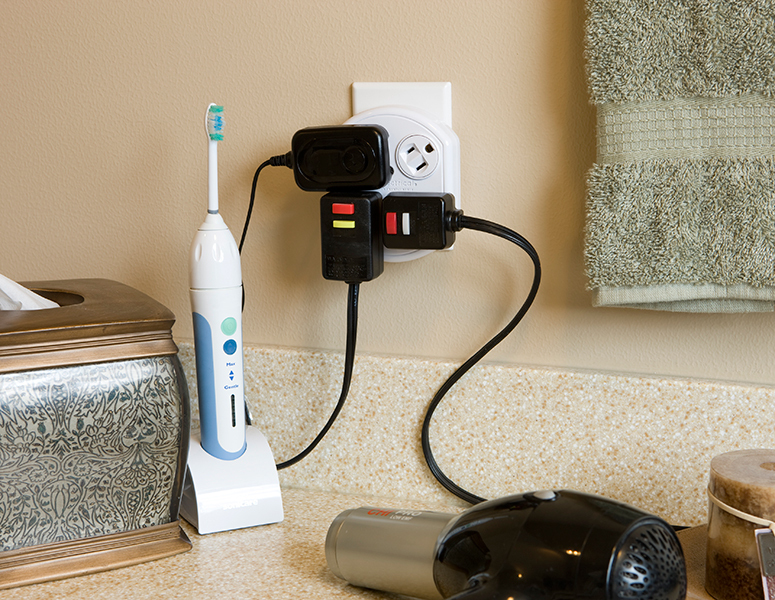 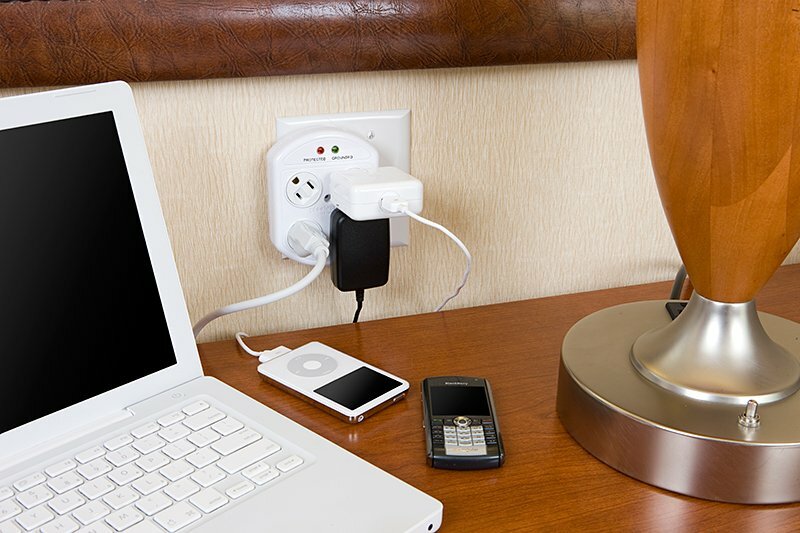 360 Electrical makes outlets, power strips and surge protectors with sockets that can rotate. 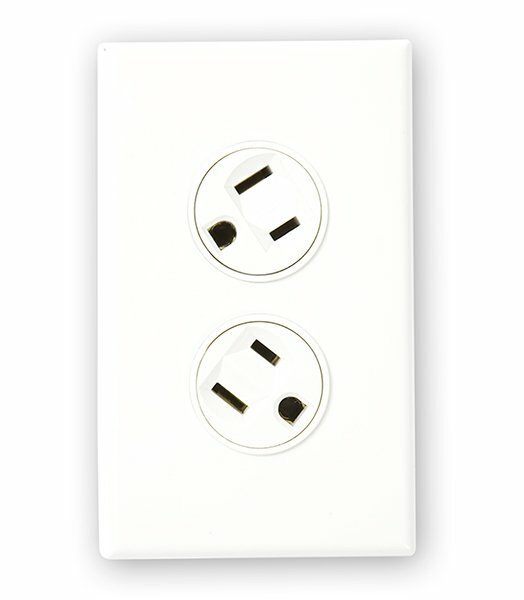 This enables you to fit multiple plugs or adapters. 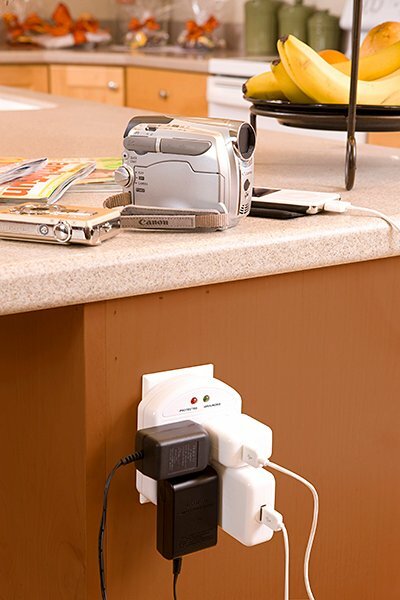 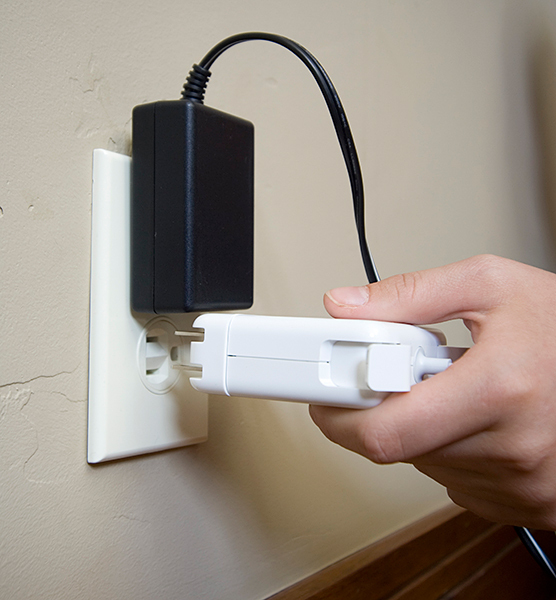 They also sell surge protectors with sockets that swivel up to 160º. 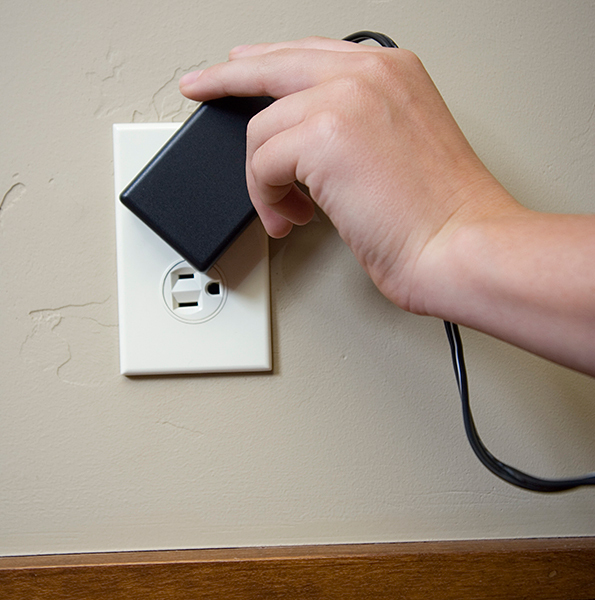 Demo here.